700 Davenport Avenue. Rendering via Westfair. 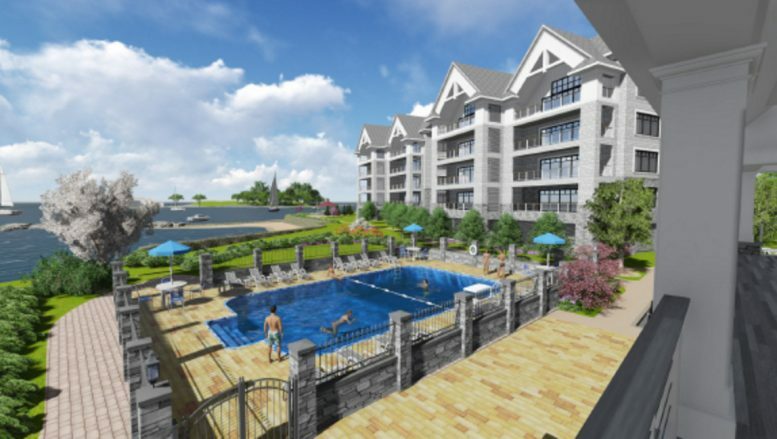 Purchase, N.Y.-based Zinrock Resources LP has recently received approval from the Planning Board of New Rochelle to construct nine eight-unit residential buildings, plus a clubhouse and gatehouse, at 700 Davenport Avenue, located on the southern tip of the city’s Davenport Neck section. That’s in southern Westchester County. The buildings can be as high as 60 feet (plus five feet if in a flood zone), the equivalent five stories, Westfair reported. All of the residential units will be three-bedroom condominiums ranging from 3,000 to 3,500 square feet apiece. The site is currently home to the roughly 500-member beach club Beckwith Pointe, which the developer is expected to begin demolishing next year. 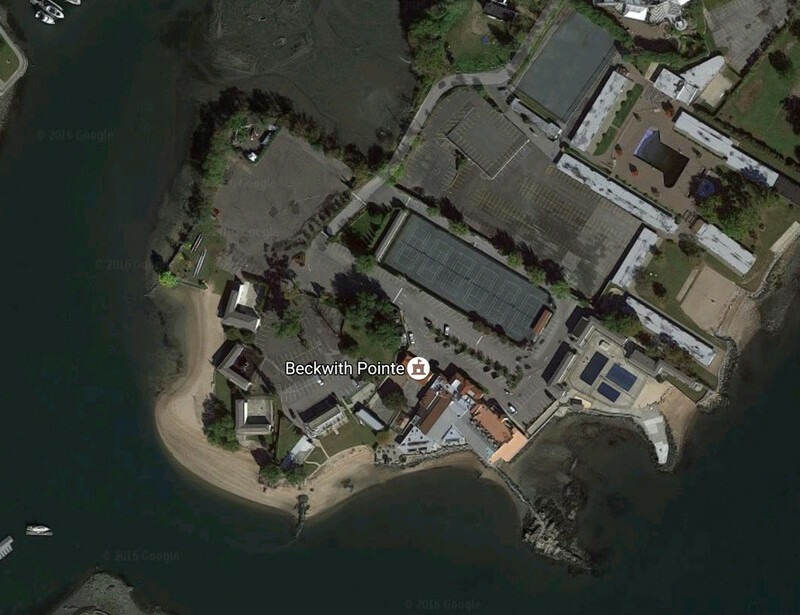 Zinrock payed the city $720,000 to privatize the club’s beachfront, but is still required to retain open space elsewhere. Present-day 700 Davenport Avenue. Image via Google Maps. 4 Comments on "Eight-Building, 72-Unit Condominium Project Approved at 700 Davenport Avenue, New Rochelle"
Hello..YIMBY..groups of building stand near the river, I don’t want to stay away a romantic landscape like this. Sounds like it will be a really nice place. Big units. Just what we need, less public space and MORE unaffordable housing in New Rochelle. Ur right unaffordable everywhere when rent goes up every 2yrs.